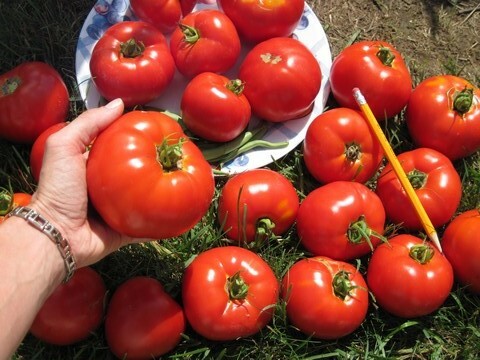 See the most popular garden hand tools used for picking tomatoes by gardeners like you. Take a look. Once a tomato is picked, the fruit is cut off from its main oxygen source. But even when a tomato is picked before it is ready, it continues to ripen. Its sugars are now processed without a steady supply of oxygen and are converted into compounds that promote decay -- ketones, aldehydes, and alcohols. Sugar decay impacts taste. That’s why you want to pick tomatoes in their prime! 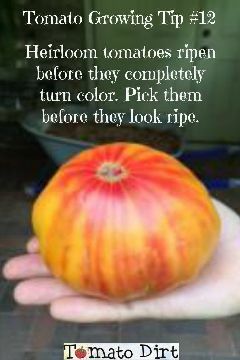 Look for these tips your tomato tells you to let you know it’s ready to be picked. The tomato shows its true color. A red tomato has turned red on the vine (yellow tomatoes have turned yellow, striped tomatoes show their stripes, and so forth). … and get more helpful tips for picking tomatoes on our Harvesting Tomatoes Pinterest Board.